SHELBURNE, NS & HALIFAX, NS – Boxing Rock Brewing and Chain Yard Cider have announced the release of a collaboration inspired by – and named after – a classic UK pub drink. Snakebite (5.7% abv) is a 50-50 blend of Boxing Rock’s Hunky Dory Pale Ale and Chain Yard’s Foundation Cider. 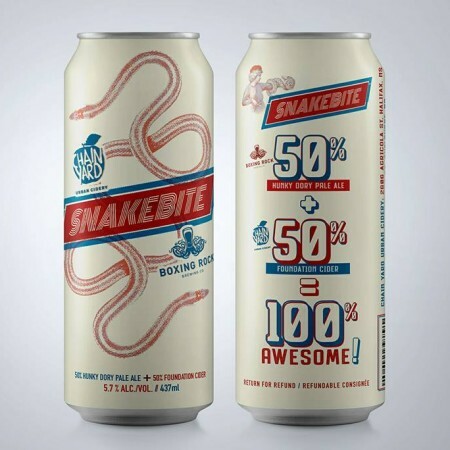 Snakebite is available now at Boxing Rock and Chain Yard, and 473 ml cans can be found at select NSLC stores in Nova Scotia.